She is awesome and when I share her amazing recipe you are all going to want to know her more too! 😉 So we were doing a little “get-to-know-you” in our Hello Mornings group and someone suggested we have a virtual picnic and asked what we would bring. Mel said she would bring her black bean salsa recipe because it was amazing. Now I am not a fan of the beans. Personally I think they taste like dirt. I would eat bean-less chili if I could, I really would! 🙂 But my husband is a bean fan and this recipe sounded like something he would really like. So I asked her for the recipe – because she said she would share and she is awesome like that! I clarified that I probably would NOT like it…but I was willing to make it for my husband, since our anniversary was a few days away. 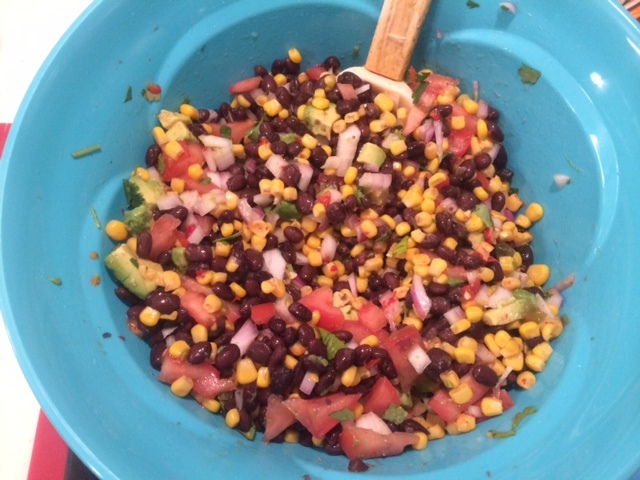 Now a little disclaimer…Mel does give credit to her MIL for the original recipe…but she tweaked a bit and since I am sharing what she shared with me – we are calling this “Mel’s Amazing Black Bean Salsa”! I will put the entire recipe at the end of the post! This recipe is really so easy…just a few ingredients and a little chopping and it is done! 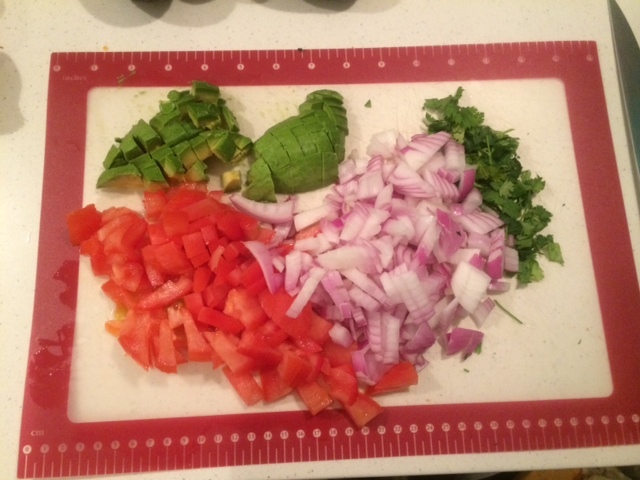 Tomato, Avocado, Red Onion and Cilantro. Also the Roma tomatoes were looking a little sad the 2nd time I made this recipe so I just used regular ones and I think it turned out just fine. Here it is all ready for the final topping. My Walmart also didn’t have the Fiesta Hidden Valley Ranch packets the first time I made this so instead I bought a regular and a green onion packet. (Did I mention that I doubled the recipe every time I have tried this?!) It is just THAT good!! If you can’t find the Fiesta packets, trust me that these will still make it taste great! 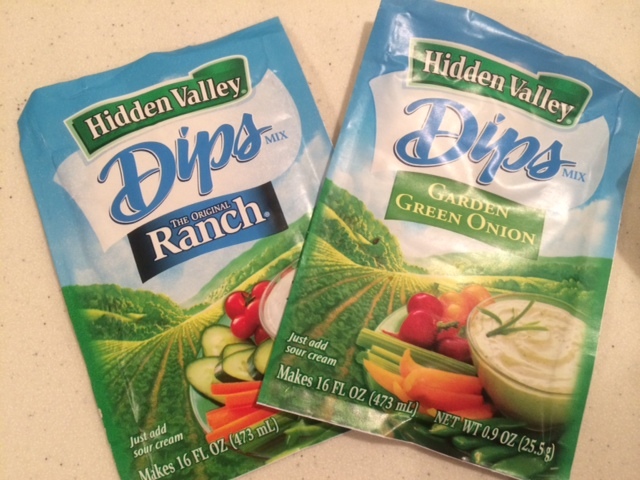 Mix the packets with some olive oil and white wine vinegar and pour it over everything you have in your bowl. This salsa is great on chips, Ritz crackers, eggs, steak…boy the list could go on and on. In fact it has become a staple in our home…a condiment we can’t live without. And this girl, this “beans taste like dirt” disbeliever? I am a changed woman. This will be my go to recipe whenever I need to bring something to a picnic or potluck. 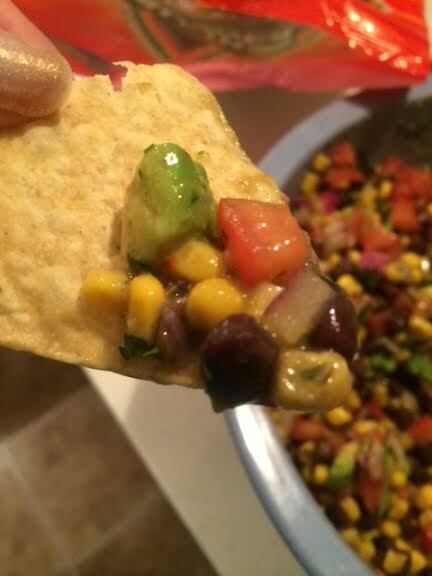 This entry was posted in Food Fun and tagged Amazing, Black Bean Salsa, Mel, Recipe on June 14, 2014 by Kristin. I copied the recipe. It is already making my mouth water. Have a blessed day! I’m printing this now so I can make it soon! Can’t wait to try it – thanks, Kristin and Mel! I am SO trying this!!! Yay! I love new recipes. It’s on my menu for next week…thanks!!! 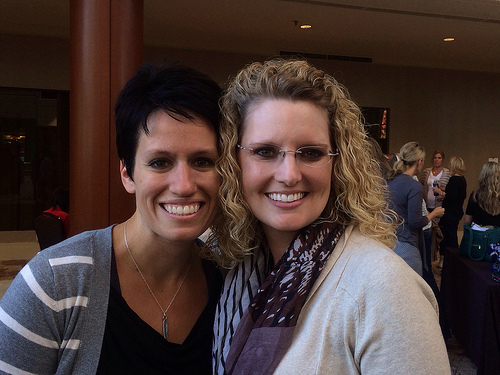 Alecia Simersky recently posted…Do You Believe?